UBM plc has agreed to sell PR Newswire to Cision, a provider of public relations software, for $841m. Cision, which is controlled by Chicago-based private equity group GTCR, acquired media monitoring group Gorkana from private equity group Exponent for £200m last year. PR Newswire had revenue of 195.8 million pounds in 2014, about 26 percent of UBM’s total revenue. earnings before interest, tax, depreciation and amortisation. The cash value of $810m represents a circa 10.8 times multiple. £245m is proposed to be returned to shareholders by way of a special dividend. Tim Cobbold, Chief Executive of UBM plc, said: “Today’s announcement represents a significant step in the execution of UBM’s “Events First” strategy, the objective of which is to become the world’s leading focused B2B Events business. The Board is confident that this transaction realises excellent value for our shareholders. Data analytics provider Verisk Analytics is acquiring Wood Mackenzie from private equity firm Hellman & Friedman and other Wood Mackenzie shareholders. Wood Mackenzie provides data analytics and commercial intelligence for the energy, chemicals, metals and mining verticals. 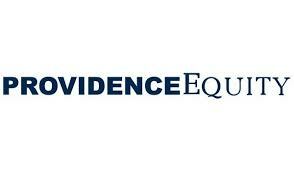 The purchase price is £1.850 billion (approximately $2.8 billion) to be paid in cash. Verisk intends to finance the transaction through a combination of about $2 billion in debt and up to $800 million in equity. For the year ended December 31, 2014, Wood Mackenzie’s revenue and EBITDA were £2 27 million and £107 million, respectively, representing an EBITDA margin of 47.1%. The transaction is expected to close during the second quarter of 2015. Stephen Halliday, Wood Mackenzie’s CEO, will continue to lead the business, reporting to Verisk president and CEO, Scott Stephenson. In July 2012 Fusion DigiNet reported that private equity group Hellman & Friedman had taken a 63% stake in Wood Mackenzie in a deal that valued Wood Mackenzie at £1.1 billion pounds (approximately $1.7 billion). Vendor Charterhouse retained a 13 percent interest. Wood Mackenzie’s management and staff held a 24 percent interest. Based in Edinburgh, Wood Mackenzie’s customer base includes 800+ international and national energy and metals companies, financial institutions, and governments. Wood Mackenzie works with strategy and policy makers, business development executives, market analysts, corporate finance professionals, risk teams, and investors. The company has approximately 1,000 employees worldwide with offices in Edinburgh, Dubai, Houston, London, Singapore, and Sydney. Global investment firm KKR has acquired Trainline. The terms of the deal were not disclosed. Trainline is the most downloaded travel app in the UK and its website ranks 5th by gross transaction value in the UK e-commerce sector. The company has 4.7m active customers, 20.8m visits per month and operates platforms for both consumers and businesses. 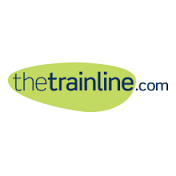 Trainline is licensed to sell rail tickets on behalf of all UK Train Operating Companies, Deutsche Bahn and Trenitalia. According to the Economic Times, Reliance Capital is to sell its 16 per cent stake in travel portal Yatra.com for an estimated Rs 500 crore (around $80 million) and is in talks with 2-3 international investors. 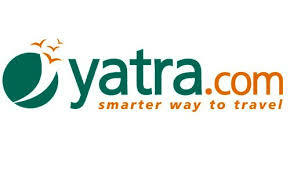 Other Yatra.com shareholders include Norwest Venture Partners – 30%, TV-18 group – 10%, Intel Cap – 7% and Valliant Capital – 10%. The management team owns 6%. Founded in 2005, Yatra.com provides reservation facilities for more than 12,000 hotels in India and over 400,000 hotels around the world. It has an operating income of $51 million for the year.